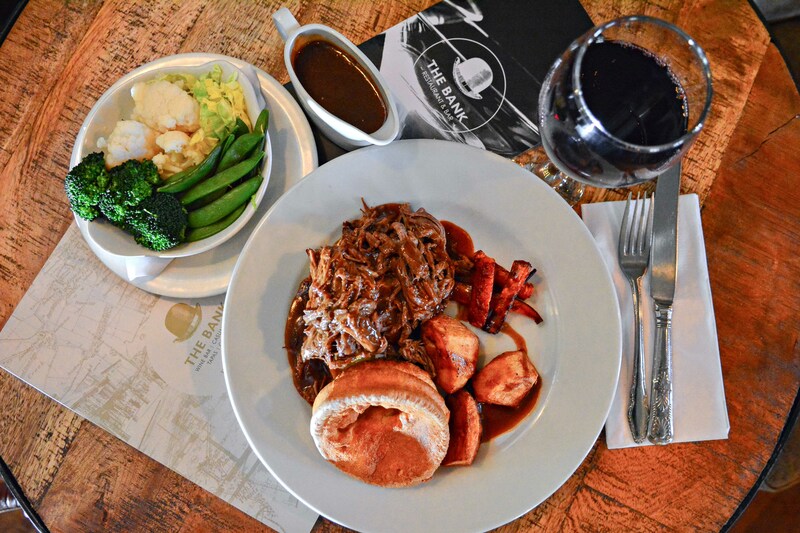 Enjoy a Traditional Sunday Lunch at The Bank Restaurant & Bar every Sunday with a great atmosphere and excellent food! We serve Sunday Lunches until 5pm with tapas served ’til late. Choose from a 2 course lunch at £14.95 or else why not go for a 3 course meal for just £18.50 if you want to finish with a dessert! Experience a venue with a difference in this exposed-brick eatery set in a former bank of historic significance, serving the very best of cocktails and drinks.